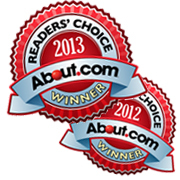 We are proud to announce we are the winner of the 2012 About.com College Life Readers’ Choice Award for the Best Website to Buy College Textbooks! This is an award that helps students figure out which online textbook seller is the top choice. The award is given annually and the winner is voted for by the readers. In the competition, there were a few other online textbook sellers that were strong competitors. But, after one month and thousands of votes submitted, eCampus.com proved to be the best of the best. 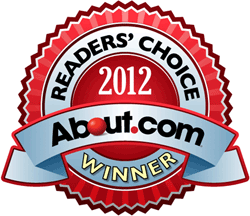 “We are very thankful for our loyal customers who voted for eCampus.com to win the 2012 About.com College Life Readers’ Choice Award. 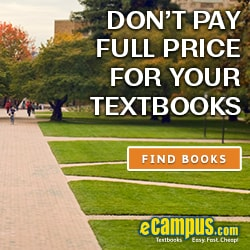 Whether students choose to buy from our large stock of new and used textbooks, rent their textbooks, or get eTextbooks from our ever growing selection, we strive to provide college students with a great textbook experience from beginning to end. And it’s that type of commitment to our customers that wins us an award like this one.” stated Matthew Montgomery, President and CEO of eCampus.com. eCampus.com is proud to receive this award and would again like to thank their customers, and everyone who voted, for their support. 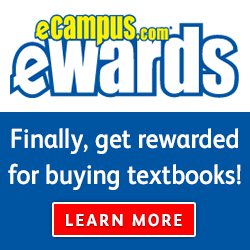 eCampus.com can’t wait to do this award justice and show that they are the Best Website to Buy College Textbooks!